The S2000 was on Edmunds Consumers' Most Wanted Vehicles list for 2004, 2005 and 2007. 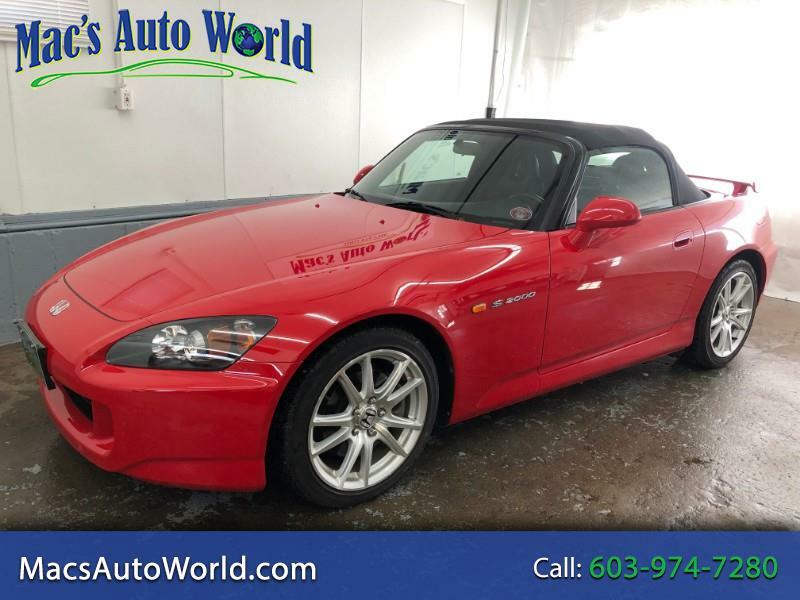 This 2005 S2000 is 9.9 out of 10 ... with only 7500 YES 7500 miles.... Garaged and covered every day since new, one owner extremely well cared for and it shows !!! We have all records, books, keys.. No accidents, no paint work no modifications. The 2004 and up AP2 cars are the most desirable because they offer the larger engine and redesigned suspension geometry. As is the trend with other popular Japanese sports cars, including the Acura NSX, Toyota Supra, and Nissan Skyline GT-R R32, S2000s without any modifications are now in the highest demand. Prices are rising rapidly, jumping 30 percent over the last five years for perfect, low-mileage stock examples. If you are looking to make a sound investment on a truly remarkable automobile come on down for a look you will be impressed !!!!!!!!! Message: Thought you might be interested in this 2005 Honda S2000.